I really enjoyed this book, once I got into it, I didn't want to put it down. Gideon and Lonnie have a truely heartbreaking story. They have to marry in a "shotgun" style and they really don't know each other. They leave their home in search of a better life and run into a couple who takes them in. Gideon doesn't want to stay with this couple, but as time goes on he sees it is for the best. Sometimes Gideon doesn't make the best decisions and one bad decision causes him to lose everything that he has come to hold dear. But he seeks GOD and figures out what is really important to him. In the end he ends up with his family and a little more. Joanne Bischof did a really good job with this story. It is truely heartwarming. It tells of how life really was in the Blue Ridge mountains. Good job! I received a copy of this book from Blogging for Books, via Edelwiess, for my honest review. Married to her first sweetheart, Joanne lives in the mountains of Southern California where she keeps busy making messes with their home schooled children. 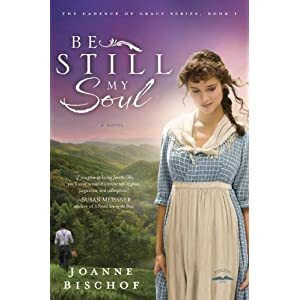 When she’s not weaving Appalachian romance, she’s blogging about faith, writing, and the adventures of country living that bring her stories to life. once you are out of combat cycle, then your level drops , so you can hold your rankings. Cheap diablo 3 gold These assumptions, but it looks like it is consistent with some of the ideas of the development group. They are currently more likely to rely on distant goal to retain players, rather than the core game mechanics.